FunCakes is now official 10 years old and we celebrated on Facebook with a contest for giving a free Wedding Cake away. Brides had to like our page, comment and share – we had an amazing turn out – it was such FUN !! We then put everyone’s name in a basket and choose our winner. We are pleased to announce that Kristen Sams from Ohio won a FREE Wedding Cake from us. Her wedding is October 21st and we look forward to creating a beauty of a cake for her. We will keep you posted with designs and ideas as she decides what she wants and then of course the finished cake in October. This was such FUN for us that we plan on running a contest through Facebook every year. We will start in January and choose our winner on our Anniversary, in March – love it !! Be sure to share this with anyone you know getting married in 2018. We love communicating with all of you and we are thinking of possibly running another contest later this year, so be sure to like our Facebook page and follow us. We post everyday and have some amazing ideas for your cake , your cake table and total styling of your cake display. With 10 years in biz, we do know a thing or two and love to share!! 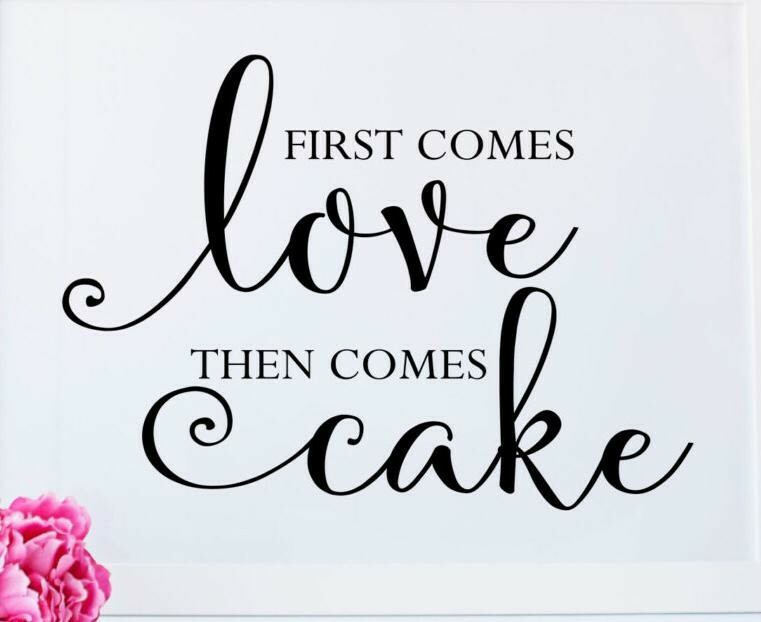 First Comes Love, then Comes Cake ! !